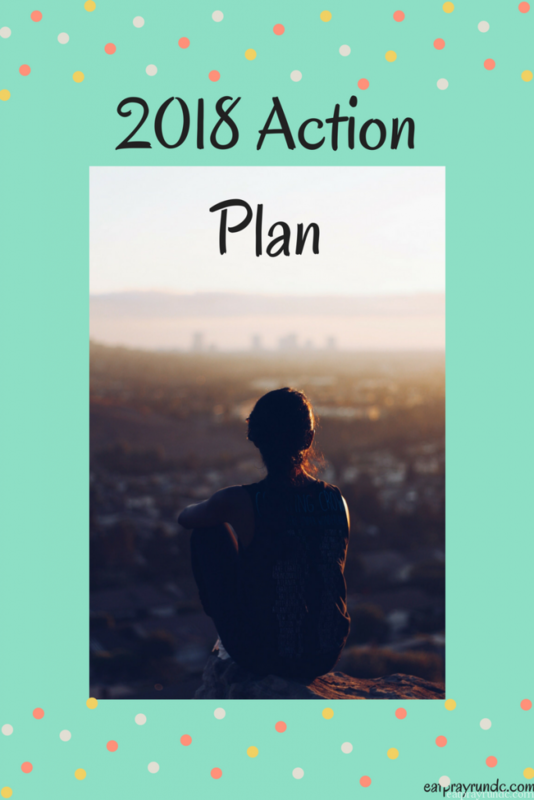 If you missed my 2018 Action Plan post, check that out here. In that post, I share my 2018 Action Plan (what I’m also calling my “get your ish together list”.) Here is my third check in. Build up to marathon training smartly. I’m happy to report that I’m still making good progress on all these action items. I have not been traveling as much for work, so cooking more is happening, which is great. I did terribly at packing my lunch over the past week, but I’ll be back on track this week. As far as finding a church home, this is still a work in progress. I have been visiting one church that I like a lot but it is a drive from my house, so that is tricky. I need to continue shopping! Also, I’m taking suggestions! If you have a church you love in DC, please share! Marathon training has been going well. You can read my latest update here. I have been pleased with the work I have put in and am feeling like I’m starting training at the point I normally hit halfway in. That is both gratifying and terrifying at the same time. I know my mileage and such will continue to build but I do have moments where I feel a sense of disbelief that I can run more. I think that my biggest challenge this cycle and during the race will be truly believing I can hit sub-4. Intellectually I know I can do it. But I know I need to get that knowledge truly ingrained in my mind. On the debt front, I’m continuing to pay it down which is great. I need to file my taxes – this isn’t debt related but it is “get stuff done” related so I’m going to tackle that this week. All in all, I’m satisfied with my action so far and I am motivated to continue working hard to get where I want to be. Way to go, Courtney! In terms of church recommendations, we attend St. Mark’s Episcopal on the Hill and really enjoy it. Sounds like solid progress indeed. Seeing your past training, I know that sub 4 is in your future. Stick with it!! Lisa @ TechChick Adventures recently posted…Fun Stuff Friday! Aw, thanks for the encouragement – I appreciate it! Glad you’re making progress on all your goals! I need to cook more as well…thankfully Bret has picked up the slack but I just need to dedicate more time to make meals for the entire week.